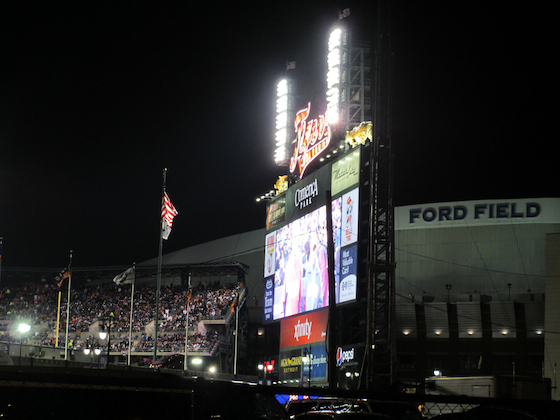 Detroit Video Daily: Wait Until Next Year! 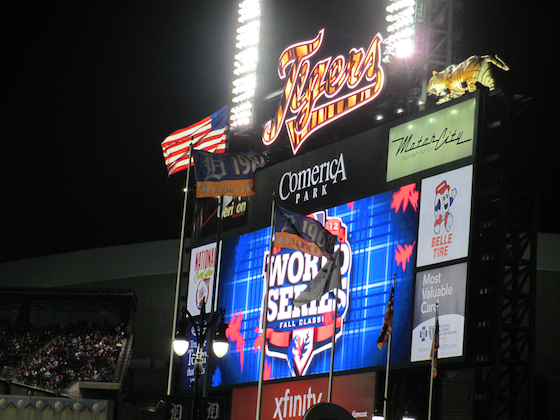 I'm just now getting around to posting my pics from the World Series. 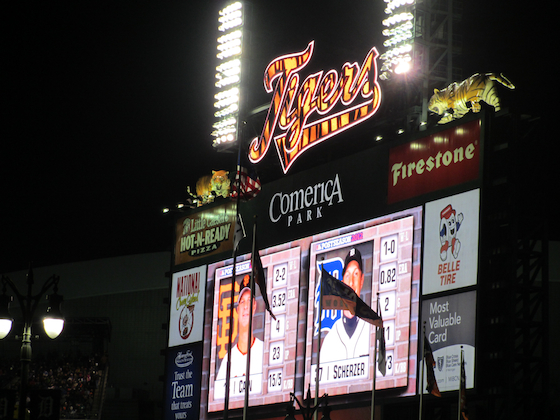 The Tigers played horrible, and got swept by the San Francisco Giants. 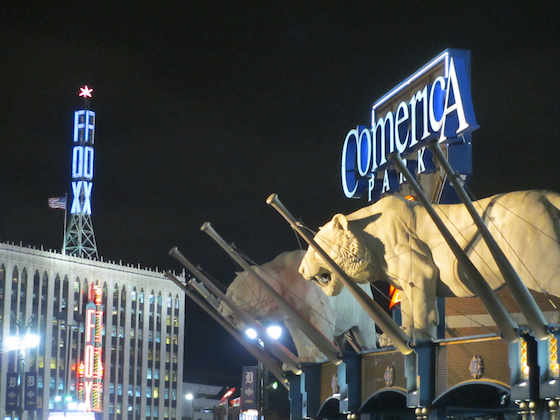 The way Detroit played was simply depressing. No offense from the Tigers, and the series was quickly over. 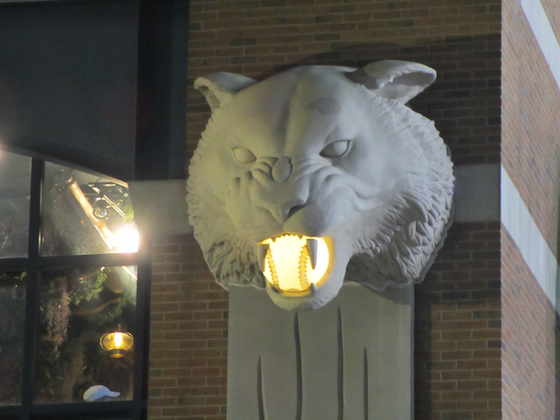 Oh well, it was still a great run, and it was good to see the Tigers in the series. Let's hope that they'll be back next year! Here's some pics I shot just before the final game got under way. Great photos. 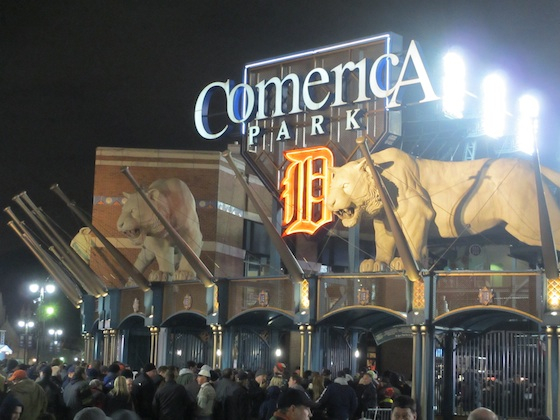 I checked the ticket prices for the first game at Comerica Park. $325 cheapest standing room only ticket. There were other standing room only tickets for over $400. The temperature for that game was 45. To me that is football weather. Commentators, press and fans at the game speak as if the World Series is the best baseball. Well I don't believe it for a minute. Baseball in the 40s is not good baseball. I don't care who plays it! Thanks. I was happy with the photos. And I agree baseball in the 40s isn't right, and it's got to affect the game. Funny thing is three days earlier the temperature in Detroit was in the low 70s.